If you have never been to Greenway, you are missing a real treat. 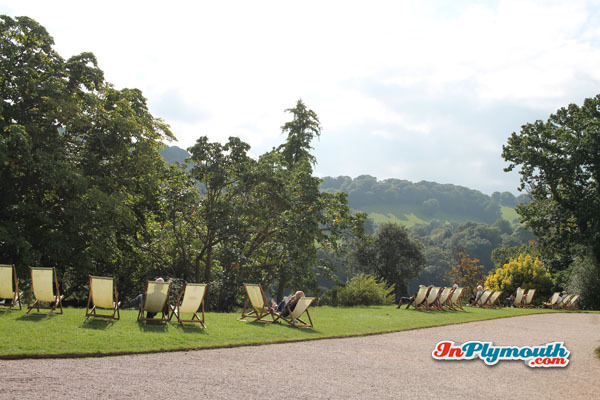 Greenway is the summer home of one of the most famous authors of all time, Agatha Christie. Based at Galmpton in Devon, it is an elegant Georgian house set in a beautiful woodland garden that runs down to the River Dart. 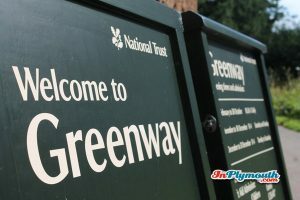 It has only been possible for the general public to visit Greenway in recent years, as it was privately owned until the year 2000. The house and gardens were given to The National Trust by Agatha Christie’s daughter Rosalind, a wonderful gift that enables fans of Christie from all over the world to enjoy it. I visited Greenway for the first time on a warm, sunny, early September day and was entranced by it. The elegant house, beautiful gardens and river views are stunning, even without it’s connection to the famous author. I have always been a fan of Christie’s books and it was very exciting to see the rooms where my idol worked, relaxed, ate and slept. Unlike many National Trust houses, there is an air of informality about Greenway. 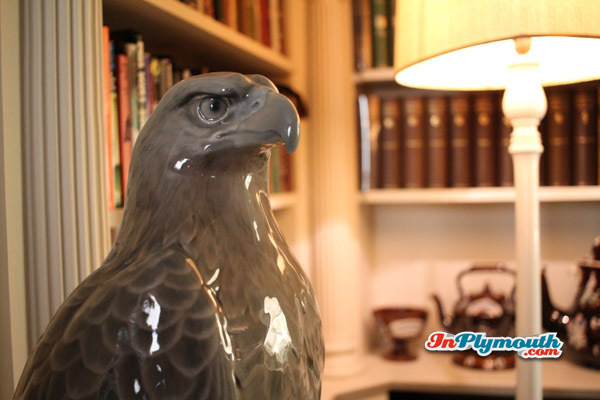 The rooms are not roped off and it is possible to wander freely around the furniture and get a closer look at objects that take your interest. You are also allowed to take photos as long as you don’t use a flash, which seemed a lovely privilege. Christie and her second husband, Max Mallowan, were apparently very attached to Greenway and used it as their holiday home in the spring and late summer. They also frequently spent Christmas there with family and friends. Agatha Christie was known to local people by her married name, Mrs Mallowan, and her time spent at Greenway, was focused on quality time with her family, away from the public eye. As you wander around the house it is easy to imagine Christie and her family relaxing in the living rooms, eating meals in the large dining room and strolling through the glorious gardens. In fact, it is easy to imagine that they have just stepped out of the room and if you were to sit down and wait, they could come strolling in at any moment. The library is where Christie and her family most liked to relax and I found it fascinating to see the books shelves there and the reading material, including some of the author’s own books. It was also interesting to see the favourite chair where she liked to sit. The library is also the location of an interesting frieze painted during the Second World War by one of the men stationed there, when Greenway was requisitioned by the US Coastguard. When the house was eventually returned to the family, Christie fortunately decided to keep the frieze as she liked it. The study was the most compelling room for me. 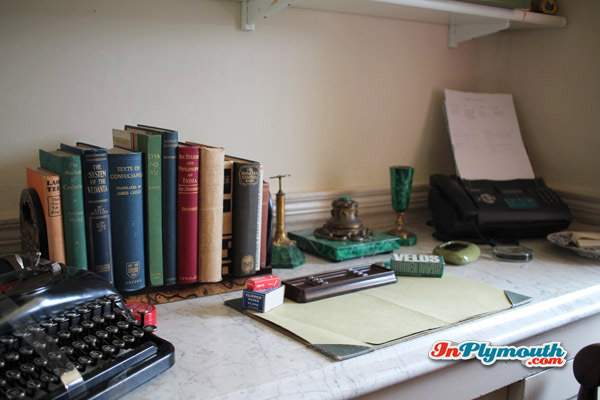 An old-fashioned typewriter and desk set are in prominent place, along with a blotter. On shelves above the desk are first editions of all of Christie’s detective novels, and some modern versions too. It wasn’t hard for me to imagine her sitting in the leather desk chair and allowing her imagination to flow through her pen and onto the page. Christie spent most of 1940 at Greenway whilst her husband was away, and wrote two books and several stories there. In the author’s bedroom is a large walk-in wardrobe containing clothes that were all worn by either herself or her daughter. Interestingly, the bed that the couple took with them when they were away on archaeological digs abroad is also in this room. Was this the very bed in which Christie planned the famous ‘Death On the Nile’? 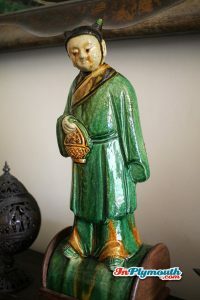 Christie and her family were great collectors and evidence of their collective passions are dotted around the house; from archaeological finds, to pottery, to pieces of art. The house still contains many of Christie and her family’s belongings and has been kept, as much as possible, true to the way it was when the family lived there. When you stand in front of the house, you can enjoy some beautiful river views. Happily, a number of retro-style canvas deck chairs are placed on the grass in fine weather, so that visitors can relax and enjoy the vista. The scene was very reminiscent of the author’s books and I could very easily imagine Hercule Poirot and Captain Hastings seated in the deck chairs. 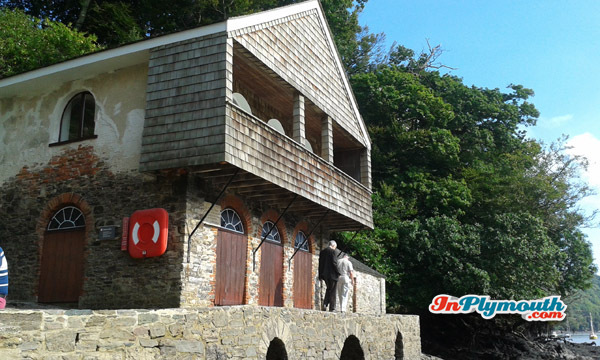 The gardens are intriguing to explore, especially the Boat House, which inspired ‘Dead Man’s Folly’. In this story Greenway House, gardens, boat house and the local area are all described accurately, and in 2013, ITV filmed their adaptation of ‘Dead Man’s Folly’ here. 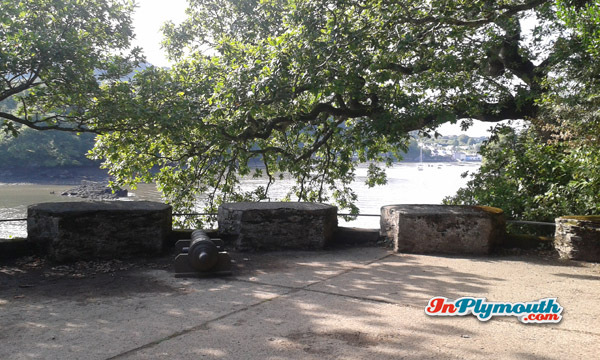 The Battery, a beautiful curved terrace with battlements and cannons, overlooking the river, inspired another of Christie’s books, ‘Five Little Pigs’. In this story, a famous painter is poisoned whilst painting his very last portrait, and the location is the Battery. I was enchanted by the Battery and would love to sit there in the sunshine and read ‘Five Little Pigs’. It is a truly glorious and inspiring place. Another of Christie’s books, ‘Ordeal By Innocence’, was also inspired by Greenway and it’s surrounds. “One day we saw that a house was up for sale that I had known when I was young… So we went over to Greenway, and very beautiful the house and grounds were. A white Georgian house of about 1780 or 90, with woods sweeping down to the Dart below, and a lot of fine shrubs and trees – the ideal house, a dream house”. Christie’s fame enabled her to buy Greenway as an adult and she obviously spent some very happy times there. In 1959 the author’s daughter, Rosalind Hicks, bought Greenway from her mother, and moved in after the deaths of Christie in 1976 and Max in 1978. Rosalind and her husband lived at Greenway for some years, then gave the property to the National Trust in 2000. Rosalind and Anthony Hicks continued to live at Greenway until their deaths in 2004 and 2005. Greenway has excellent facilities, from the friendly and knowledgeable volunteers and staff, to the shop and cafe located in the old stable block. 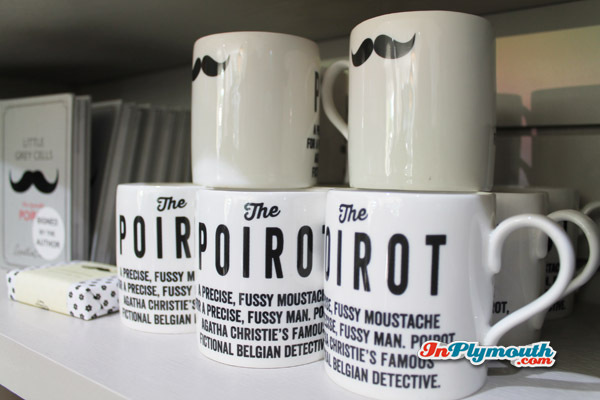 The shop sells a selection of Christie’s books plus many other items inspired by her novels and characters, in addition to all the usual National Trust merchandise. 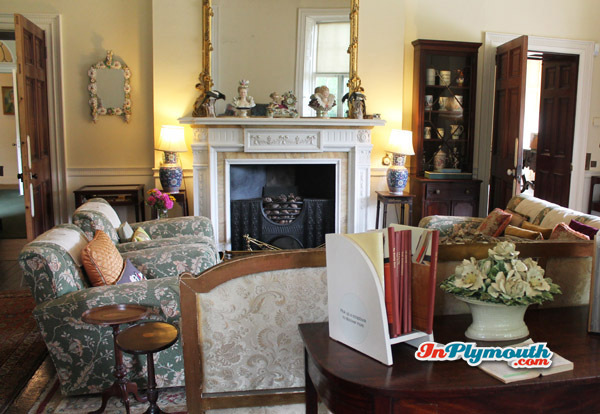 Visiting Greenway is like going back in time to a more elegant era. For admirers of Christie’s novels, anyone who is interested in history, architecture or gardening, or if you just enjoy walking among lovely scenery, then Greenway is a must-visit location. There is a lot to see, so arrive as early as you can. Even so, you will probably want to return. I felt that there was too much to see in just one visit and am looking forward to going again. 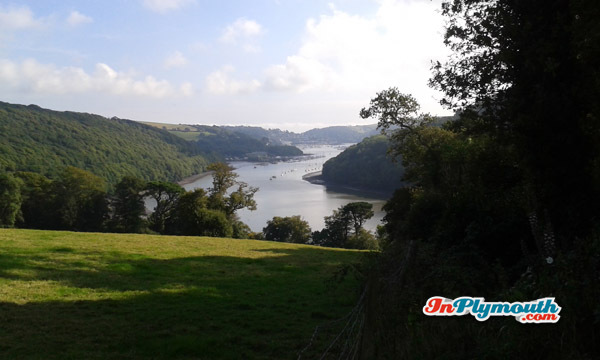 Greenway is a truly special place and deserves to be high on any visitor’s agenda.